Sorry about the last post, guys. You can just consider it lost, in honor of the day! Today’s holiday honors Amelia Earhart, born July 24, 1897. Here’s some trivia for you. 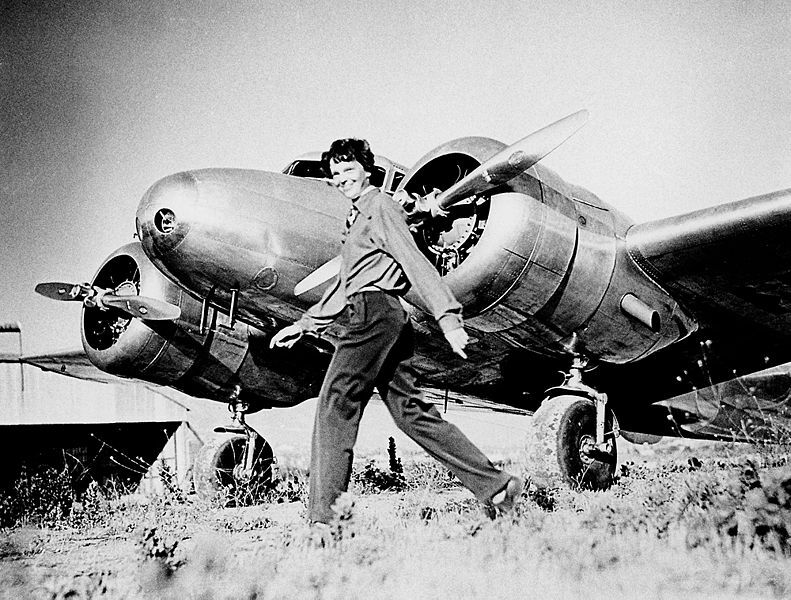 Amelia Earhart was definitely a woman in a man’s world. She was the 16th woman to be issued a pilot’s license. She was a huge celebrity. Known as “Lady Lindy” and “Queen of the Air,” she financed her flights with product endorsements. 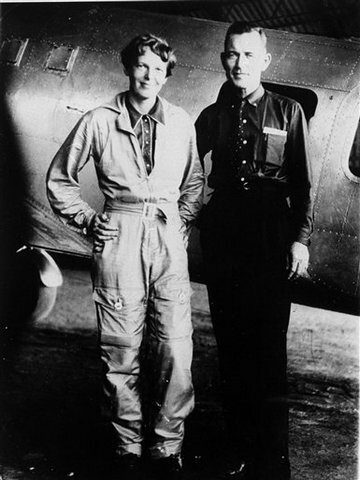 Just five years after Charles Lindbergh’s famous solo transatlantic flight, Earhart completed the flight as well, solo. In 1929, she was tied for first in a Women’s Air Derby. While taking off for the last leg of the race, her friend and competitor, Ruth Nichols, crashed. Earheart jumped from her plane and raced across the runway to pull Nichols out of the wreckage. Once she was certain her friend was alright, Earheart completed the race, still managing to come in third. In 1937, Earheart and her navigator, Fred Noonan, completed more than 22,000 miles of their trip around the world, leaving less than 7000. They disappeared en route to Howland Island, and have never been found. July 24 is also Cousin’s Day! This entry was posted in Uncategorized and tagged Amelia Earhart Day, July 2013. Bookmark the permalink.